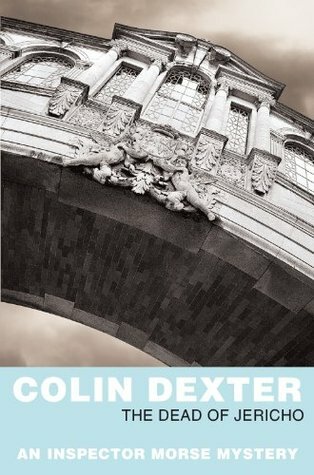 I’ve got rather behind with writing about the books I’ve been reading so this post is on two of Colin Dexter’s Inspector Morse books, both are books from my TBR list. Colin Dexter wrote 13 novels in the series and I’ve been reading them out of order – just as I come across them. The second book in the series is Last Seen Wearing, first published in 1976, in which Morse investigates a cold case. Two years previously schoolgirl Valerie Taylor had disappeared during her lunch hour from the Roger Bacon Comprehensive school. Her body had never been found and the case had been shelved but recently her parents had received a letter telling them she was ‘alright’ and they were not to worry. Morse isn’t please when he was instructed to investigate Valerie’s disappearance but then is interested when he guesses that she is dead. In fact he is convinced that she is dead. But throughout the novel he keeps changing his mind, coming up with theory after theory about what happened to her. Lewis meanwhile, who is assisting Morse, is sure that Valerie is still alive. There are plenty of suspects, the headmaster of the school, the second master, the French teacher, one of her boyfriends, her mother and her stepfather all come under Morse’s scrutiny. It is a complicated investigation made even more so when the second master is found stabbed with a nine-inch kitchen knife. I haven’t read the first book in the series, Last Bus to Woodstock, in which Morse and Lewis first work together, but this second book shows their working relationship is a good one and they have several lively discussions. Lewis whilst admiring Morse sees him clearly, noting that he always had to find a complex solution. I was puzzled throughout and like Morse I kept changing my mind about it all and at one point I had the solution – as had Morse – but had then changed my mind. Of course, by the end of the novel Morse had it all worked out correctly. The Dead of Jericho is the 5th Inspector Morse book, first published in 1981. Colin Dexter wrote 13 novels in the series and I’ve been reading them out of order – just as I come across them. Years ago I watched the TV series of Morse. The Dead of Jericho was broadcast in January 1987, the first of Dexter’s books to be televised. I must have watched it but as it was so long ago I had completely forgotten the details. Jericho is an area of Oxford, described in the book as a largely residential district consisting mainly of two-storey terraced mid nineteenth century houses and bounded by the Oxford Canal. Morse met Anne Scott at a party and was immediately attracted to her. She gave him her address but thinking she was married he didn’t contact her until six months later when, being near where she lived, he impulsively called at her house at Canal Reach in Jericho. There was no reply, but the front door wasn’t locked and he stepped inside and after calling out Anne’s name and getting no reply, he closed the door behind him as he stepped out onto the pavement and left. Later that evening an anonymous phone call directed the police to Anne’s house where she was found dead. Apparently she had hanged herself. Morse is assigned to the case and has to decide whether her death was suicide or murder. And when the police realise that Morse had been in the house that day he comes under suspicion for a while. There are various suspects and Morse as usual constructs theories which fit all of them, leaving Lewis to put him on the right track. In both books Morse shows various aspects of his personality. He is clever, loves the opera, and solving puzzles, particularly crosswords – he can do The Times crossword in under ten minutes. He is not a happy man; he is sensitive, melancholy, a loner and a pedant. His meanness comes out in the pub where he gets Lewis, on a much lower salary, to buy all their drinks. And in both books he is attracted sexually to women. Both books qualify for Bev’s Mount TBR Reading Challenge, being e-books I’ve had for over two years. I’m not sure I’d enjoy reading the Morse books. I’ve tried with the TV series, but other than Robby Lewis, I wasn’t drawn in. Now Lewis, well, I love him and loved the TV series (especially Hathaway). I’ve been thinking of reading the first Midsomer Murder book by Caroline Graham, THE KILLINGS AT BADGER’S DRIFT. Have you read any of those? I do like the TV show. Kay, inevitably the books and the TV versions are different and the books are slower paced. I like both. I also love the Lewis series with Hathaway. Endeavour, the prequel, is good too. I was surprised to learn that there are only 13 Morse books. I assume not every TV episode was based on a book? Oddly, I’ve never read any of the books but watched every one of the TV episodes and loved them all… Lewis too. Like Kay I especially liked Hathaway in Lewis, brilliantly portrayed by Laurence Fox. Cath, I was surprised too that there are only 13 books. 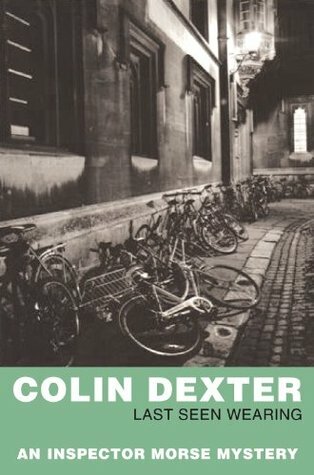 I’ve checked and some of the TV films are based on storylines especially commissioned for television from Colin Dexter – such as The Wolvercote Tongue for example. And some of the others are by different writers. I also hadn’t known that there is a collection of short stories – ‘Morse’s Greatest Mysteries and Other Stories’ published in 1993. What I’ve always liked about Dexter’s work, Margaret (among other things) is his ability to create a clever and intriguing puzzle. It all makes sense, but sometimes the mysteries are quite complex. And I do love the Morse/Lewis dynamic. I think this is one of the most complex, Margot and each theory seemed plausible – for a while. Very clever!